This entry was posted in My Favorite Things and tagged Blue, clothing, Complete Outfits, Dress, Fashion, Favorite, Glow Designs, Gown, Porchers, Woman on April 14, 2012 by Blue Porchers. I had the pleasure of wearing the following outfits for the UNITED Stylecard Fashion Show for Charity. I was in a group called Retro II Estilo, 1930’s. I hope you like. 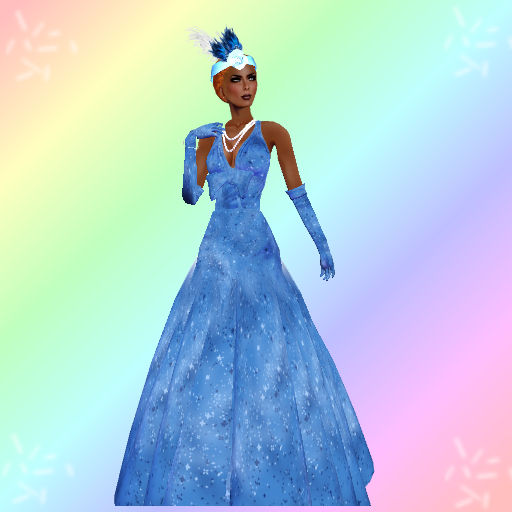 This entry was posted in My Favorite Things and tagged 1930's, Blue, Fashion, Glow Designs, Porchers, TanyA, Wakaonna, Woman on July 10, 2011 by Blue Porchers. This is the second set of outfits from TanyA Wakaonna at Glow Designs. This set of outfits I enjoyed even more than the first set. This is the second set and I have one more coming for your enjoyment. I should mention that TanyA does custom work so give her a hollar and she will set you up with what you want. She does clothing, jewelry, hair, pirate, and even buildings and signs. Now for the pictures. This entry was posted in My Favorite Things and tagged Blue Porchers, buildings, clothing, custom designs, Glow Designs, Jewelry, signs on June 6, 2011 by Blue Porchers. This entry was posted in My Favorite Things and tagged Blue, Complete Outfits, Glow Designs, Hair, Porchers, Shoes, TanyA on June 5, 2011 by Blue Porchers.